Of all the days you will spend on this Earth, your wedding day is one of the most memorable. It is a celebration of who you are as a couple and the future you want to build together. Why not make your statement as unique as your love story. 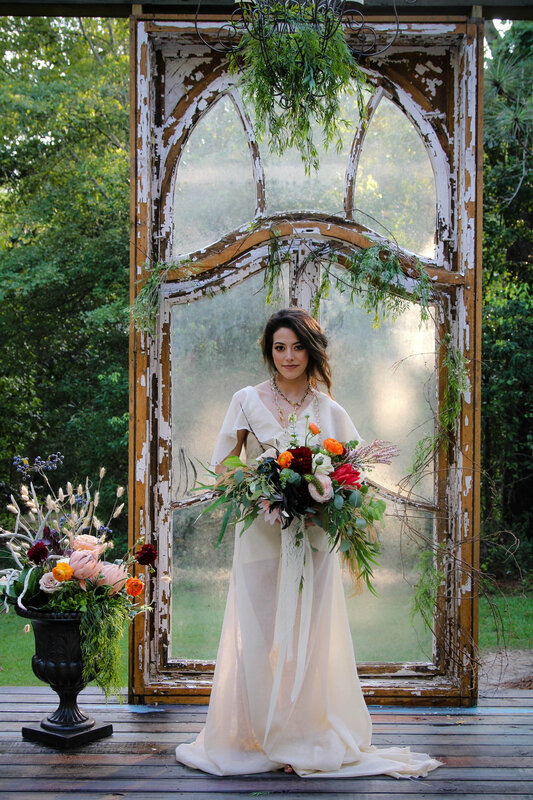 Whether you have always seen yourself as a vision in white or dreamed of being a boho goddess,let me help bring that dream to life. A passion for resurrecting timeless beauty in a world of expendable beauty trends. With a mixture of old and new, bought and found, imperfect and flawless; I create art you live out your most precious moments in.Every woman deserves a gown as uniquely beautiful as the love story that made them a bride. As a designer, I love talking to my brides and getting to know them so that I can better guide them in their design journey. Whether you already know exactly what you want or you have no idea, I can help guide you through. Take a look at the galleries below to get a feel for my work. This will help you decide if my work is in line with your vision. For those who want to honor someone special by wearing their wedding gown or renewing their vows and wanting to update their existing wedding gown. Every bride has a tribe. Don’t forget the people who will stand by your side, hold your dress for those awkward bathroom trips, and those who held you from your first breath. Ready to get started? Have questions? I would love the opportunity to get to know you and your unique journey. Let’s turn your dream into reality!